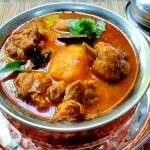 Chicken Curry for our weekend specials. 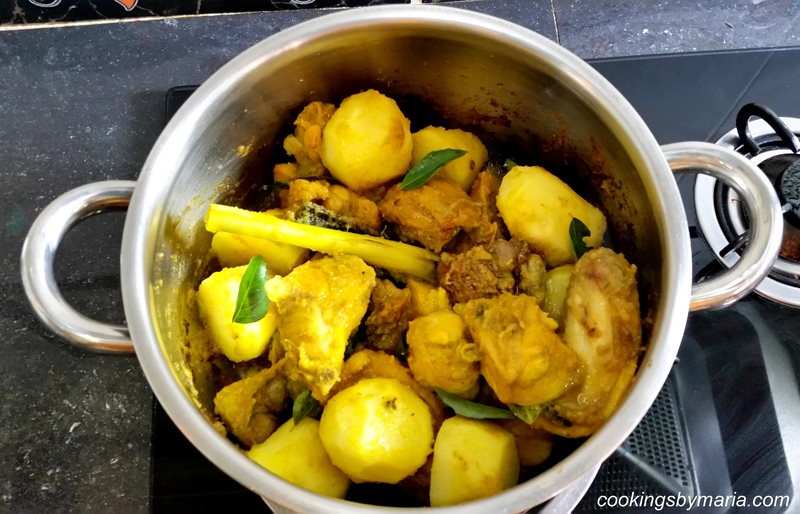 There are many ways of cooking the chicken curry at home. 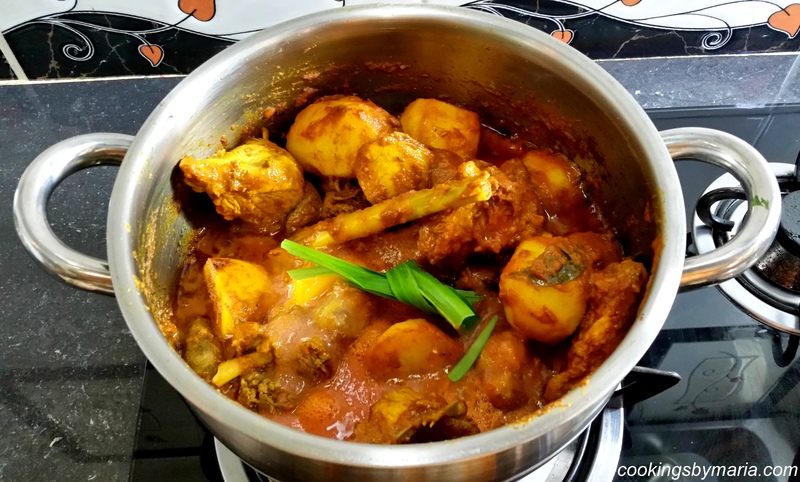 Well, this recipe was inspired by my mum’s style of cooking it. 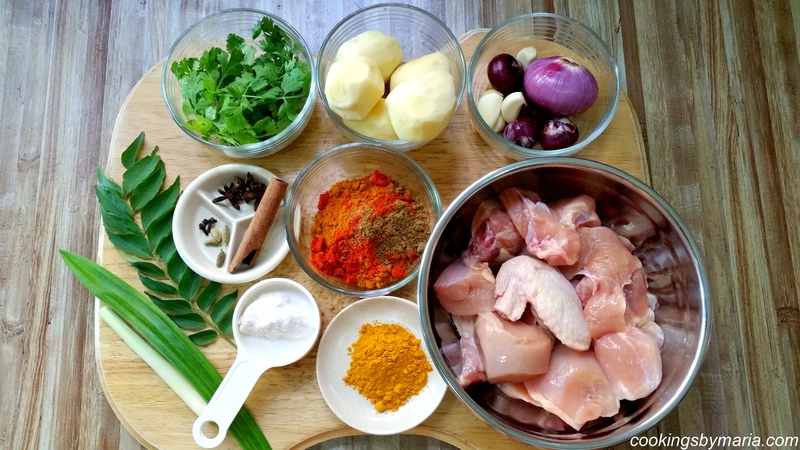 With aromatic spices, fresh chicken from the market and added with santan (coconut milk)…….. this would be a feast for everyone. 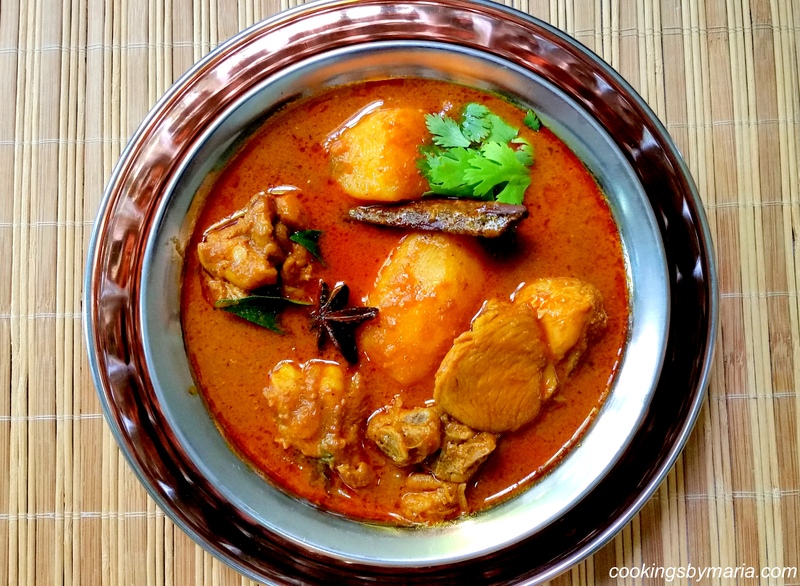 It goes well with any type of rice, chapati, naan, roti jala, roti canai and even with bread loafs. Prepare the required ingredients. Peel off the potatoes and cut to 4 each (place it a bowl of water- to avoid the color to turn brown). 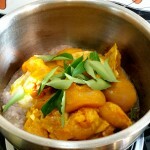 Lightly smash the top of the lemongrass stalk (serai) and set aside. 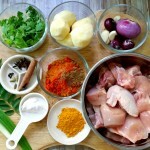 In a small bowl, mix the grounded spices (chicken curry powder, chili powder and garam masala) with 1/2 cup of water and set a side. 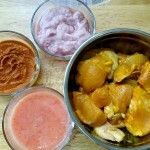 Blend to paste – onions, garlic and ginger in a food processor with minimum water and set a side. 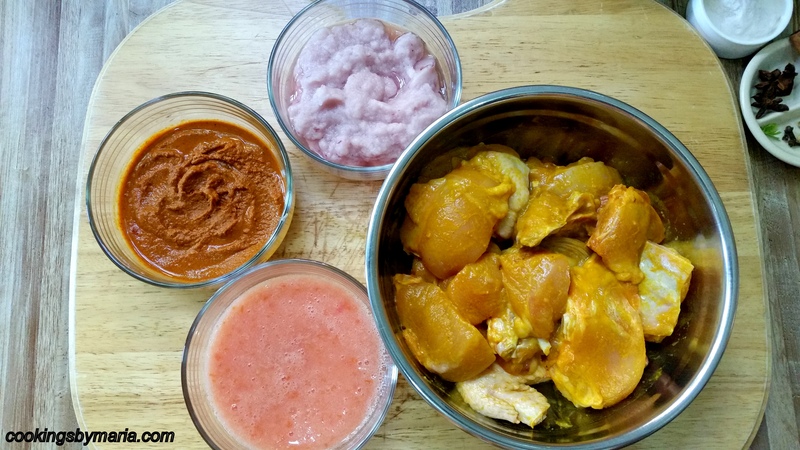 Marinate the chicken pieces with 1/2 tablespoon of turmeric powder, 3 teaspoon of salt and 1 table spoon of above blended paste (onion,garlic, ginger). Keep the balance of paste for sauteing at later part. Blend to paste the tomato with very minimum water as well. Set aside. In a cooking pot, add in 2 tablespoon (or more) cooking oil and heat it with low flame. Start sauteing cinnamon stick, star anise, cloves and cardamon (slightly pound each cardamon so that it open up a little). Stir a few times. Add in the onion-ginger paste and continue sauteing for about 1-2 minutes in a low medium heat. You will notice the oil start separates on the surface (bubbling holes). It will get burned easily, so watch out the heat. 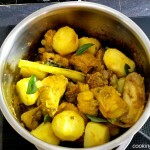 A dd in the marinated chicken pieces and curry leaves. Mix well, then cook for about 1-2 minutes. Drain out the soaked potatoes from water, then add in into the chicken mix. Stir well and close with lid. Occasionally open up the lid and stir. Add some salt (it’s important that the chicken absorbed enough saltiness) There will be some water released from the chicken. So adding additional water would not be necessary at this point of time. 5-8 minutes for the chicken to cook. Potatoes and chicken is almost 60% cooked. Next, add in the mixture of the grounded spices (curry+chili+garam masala). Mix well. 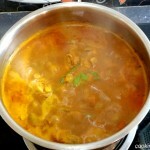 Add in hot water about 1/2 cup and let the mixture to boil and simmer for a 5-8 minutes further. 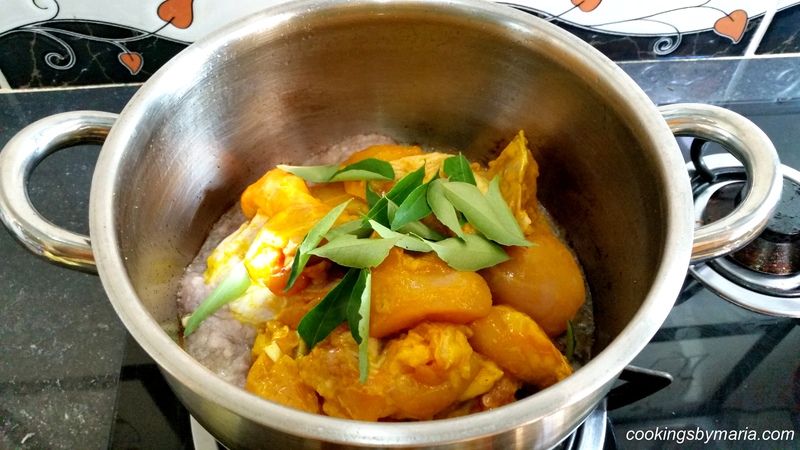 This process is important, to ensure the grounded spices (powder) is cooked well. Throw in the daun pandan and mix well. Add in the tomato paste. Let to boil a while. 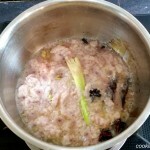 T hen add hot/warm water (400ml-500ml). Cook in medium heat, it’s bubbling well right ! Stir occasionally. 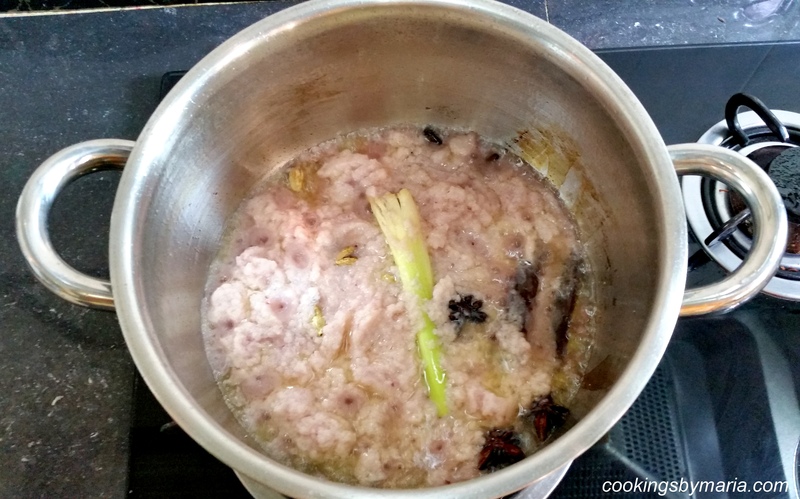 Last ingredient to add is 1/4 cup of thick santan (coconut milk). Let those boil well and simmer further 5-6 minutes. Taste Check (add salt if required). Off the flames. 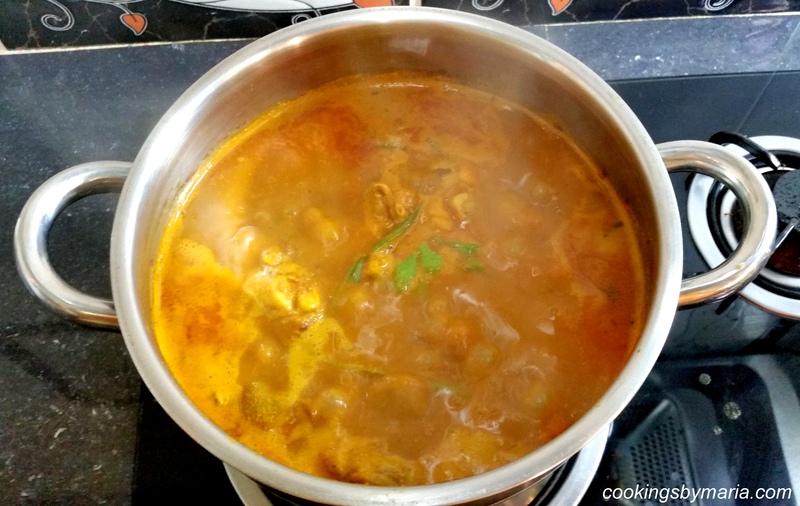 Throw in some chopped coriander leaves and mix well with the curry (optional). 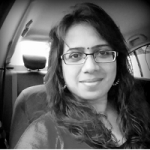 Or use the coriander leaves for garnishing during serving time only. 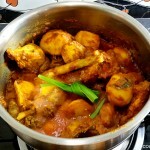 Yes, the delicious Authentic Chicken Curry is ready to serve. You may use cumin seeds (1 teaspoon) and a green chili during sauteing stage. It will further enhance the aroma. 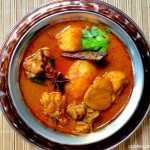 Try to avoid using cold water whenever adding liquid at the final stage of any curries. Cold/room temperature water will not blend or mix well . 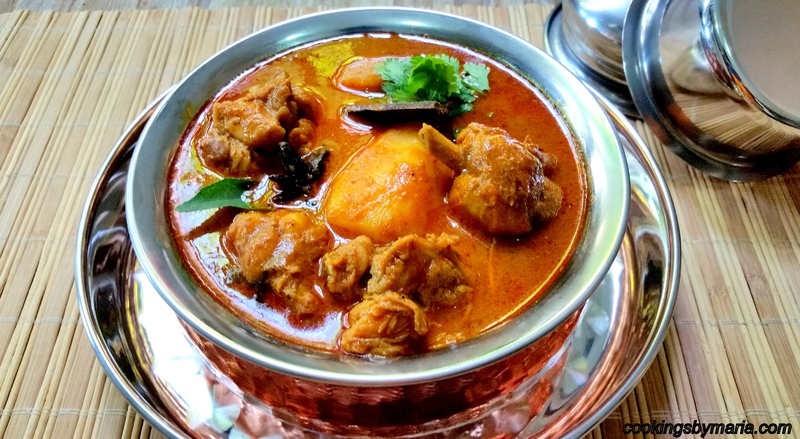 You will notice a thin layer of watery curry formed on the surface cooked curry . To be more safe, use hot water to ensure the added liquid mixed well.